Best electronic cigarette e liquid shop USA Seller. The rich chocolate flavor and aroma of our Logic Smoke Chocolate E-liquid will stop you in your tracks. It tastes like creamy chocolate and gives you a wonderful desert vape. Add Our Caramel or strawberry e-liquid for an additional kick. 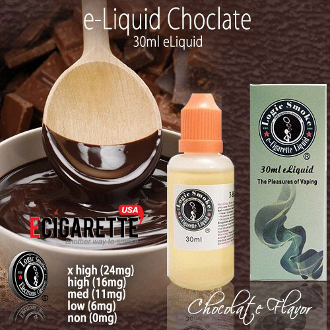 Try our Logic Smoke Chocolate E-liquid today and enjoy.